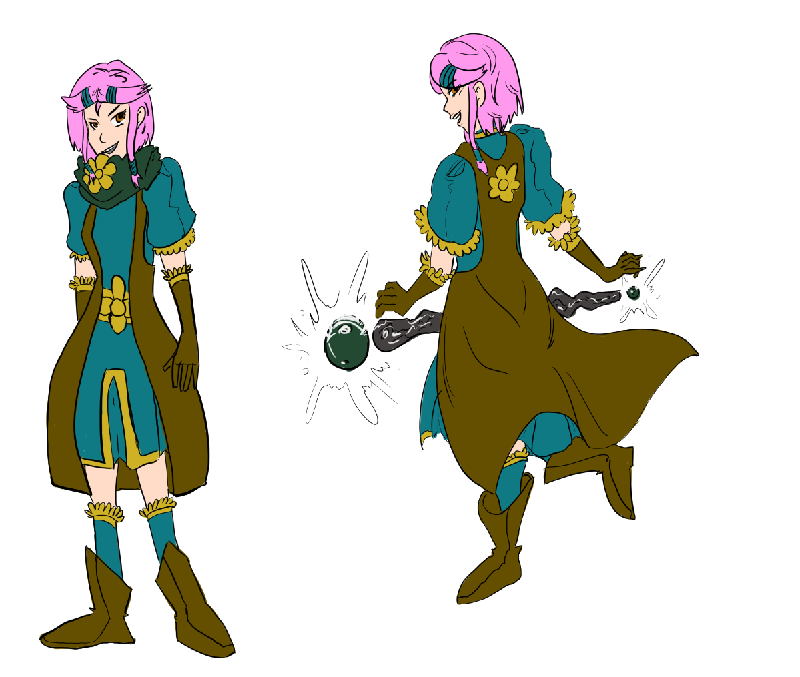 Rorrin Bailey is a magical girl that wants to teach other magical girls how use healing magic. She likes plants, long walks on the beach, and learning. She has knowledge on medicines, barrier magic, blasting magic, and healing magic. Rorrin looks for the good in people, believing that no one can be purely bad, because of this her demeanor is gentle and loving. She is adept with the magic that she does know and has a good grasp on botany, as both of her parents are Earth-Aligned mages (meaning they draw their power from plant lifeforce to fuel their magic). While each of her parents specialize in offensive and defensive magics; Rorrin's preferences are in support magic, especially healing magic.